As the competitive and economic pressure on the shipping and offshore industries continues to grow, owners, operators and yards are searching for every efficiency. 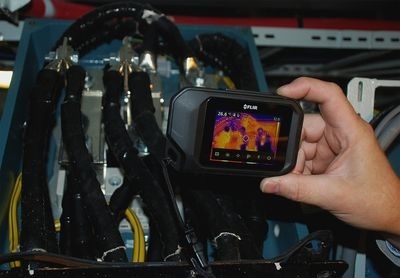 To support its customers, DNV GL has developed the first type approval scheme for the use of aluminium cables and connectors onboard vessels. DNV GL’s new type approvals for aluminum cables and connectors allow expensive copper to be replaced with aluminum. The cost savings can be significant – with the price of aluminium in 2018, approximately one third that of copper. Aluminum’s lower conductivity means that a thicker cable is required, but this is compensated for by an overall lower weight. 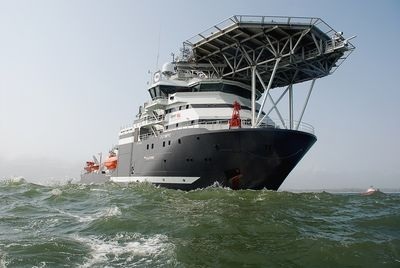 For example, a typical offshore support vessel may have 60 tons of copper cables installed. If these were replaced with aluminum, the weight would fall to 30 tons. But even with the price of special high quality terminations factored in, the overall estimated saving from switching to aluminum from copper is 50 per cent. Lighter cables also result in easier installation for the ship builder and lower material transport costs. Finally, a vessel with aluminium rather than copper cables, is lighter and more fuel efficient – resulting in lower operational costs. The use of aluminium cables has been tested for the past three years in a pilot installation onboard the Bibby Offshore owned, Olympic offshore managed, Olympic Artemis, a multi-purpose offshore support vessel. The cables have been used to supply power to one of the vessel’s thrusters. The survey confirmed perfect connections after more than 11,000 operating hours and DNV GL was then able to issue the type approvals. Olympic Subsea is an offshore company with headquarters in Fosnavåg, which performs advanced and efficient operations within subsea and renewable energy. The company operates a fleet of eleven flexible and forward-looking vessels focusing on advanced technology and expertise. DNV GL Group - is the largest classification society in the world and dates back to 1864. Driven by the purpose of safeguarding life, property and the environment, the company enables organizations to advance the safety and sustainability of their business. Operating in more than 100 countries, DNV GL’s 16,000 professionals are dedicated to helping their customers in the maritime, oil & gas, energy and other industries to make the world safer, smarter and greener. DNV GL – независимое общество, целью которого является охрана жизни, имущества и окружающей среды. Наша история берёт своё начало в 1864 году, когда организация была создана в Норвегии для проверки и оценки технического состояния норвежских торговых судов.